The Iowa Wrestling team will have practice at 8:30 AM on Saturday, October 20 before the Iowa – Maryland football game. The bleachers have been filled with fans in the Iowa Wrestling room at four practices before a football game already this season. Iowa Wrestling fans are excited. 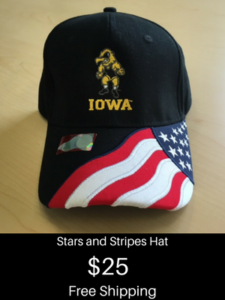 Kickoff for the Iowa – Maryland football game is 11 AM CST. This is also Homecoming so I am expecting the biggest crowd of the year for an Iowa Wrestling practice. Stopping by an Iowa Wrestling practice is a yearly tradition for a lot of Iowa football fans. The Iowa Wrestling Coaches Clinic is also this weekend starting on Friday afternoon. If you have never been to a practice like this, I highly recommend it. 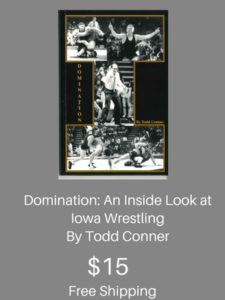 It is great for the fans to get a good look at the Iowa Wrestling program and the Hawkeye Wrestling Club. Wrestlers and coaches from the program were taking pictures, signing autographs, and talking with fans at every Saturday practice this year. Iowa Wrestling is always very accessible to meet with fans.